"Jake Olson" redirects here. For the gridiron football player, see Vijay 2005 Marian(studious). 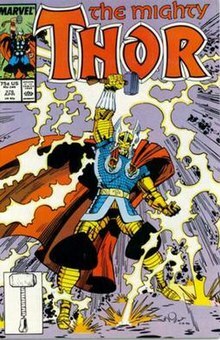 The character was first portrayed in live action by Eric Allan Kramer in the 1988 television movie The Incredible Hulk Returns. 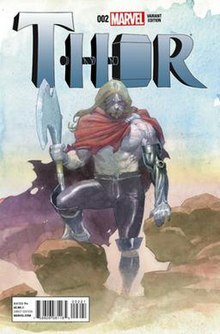 Chris Hemsworth portrays Thor Odinson in the Marvel Cinematic Universe films Thor, The Avengers, Thor: The Dark World, Avengers: Age of Ultron, Doctor Strange, Thor: Ragnarok, and Avengers: Infinity War, and Avengers: Endgame. 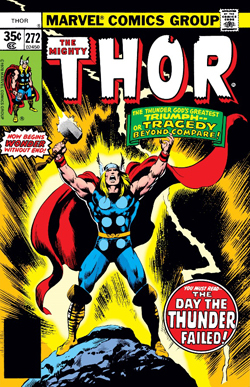 Additionally, archival footage of Hemsworth as Thor was used in the episodes "Pilot" and "The Well" of Marvel's Agents of S.H.I.E.L.D. 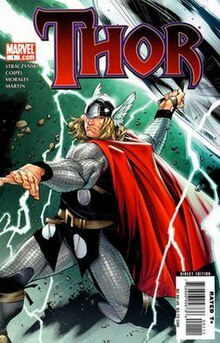 Thor placed 14th on IGN's list of "Top 100 Comic Book Heroes of All Time" in 2011, and first in their list of "The Top 50 Avengers" in 2012.